The edible seeds taken from the pine trees. The oblong seeds are taken from several varieties of pine trees. The seeds are crunchy, sweet and very delicious. To amplify the flavour, the seeds are often toasted. Pine nuts have a tough brown-color coating. The Mexican pinion, the Italian pinion, the Colorado pinion and the Chinese pinion are two prominent pine species from which pine kernels are taken from. It is an intense harvesting process to collect the nuts. They are harvested by hand contributing to their expensive price tag. 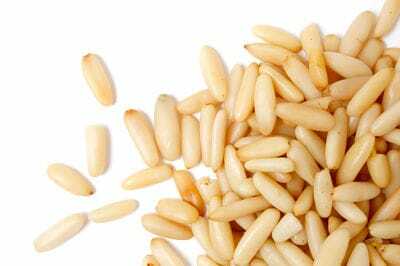 Pine nuts have been under consumption since the Palaeolithic age. The seeds are popularly added as a crunchy salad topping. Though eaten raw, the seeds are usually roasted. When added to desserts, pine nuts bring out a wonderful texture and flavour to the recipe. Grounded pine nuts are used to make Italian pesto sauce. The seeds are also extensively used in meat, fish, vegetable dishes or baked into bread. Pine nut oil extracted from the seeds is also widely used in cooking. It is valued for its mild nutty flavour. The oil has a relatively low smoke point. Pine nuts are rich in Vitamins A, C and D that help in sharper vision and stronger immunity. They are relatively high in monounsaturated fat promoting a healthy cardiovascular system. The seeds are also a good source of minerals like potassium, magnesium and iron. Note: Pine nuts can sometimes cause taste disturbance lasting from few days to a few weeks after ingestion. Though the exact cause is still unknown, the irritation would resolve in days without treatment. Ancient Greeks and Romans believed pine nuts to be an aphrodisiac. 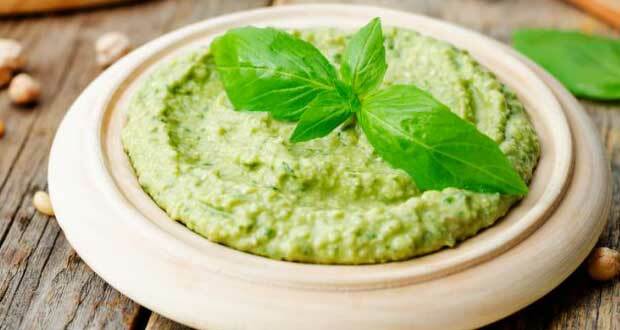 This recipe brings together the two most popular condiments - pesto and hummus. Serve it with crisp toasts or vegetable crudites and win praises from your friends and family. A recipe that you can share with your little one. 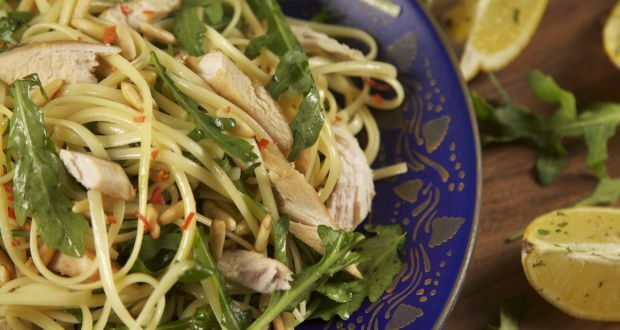 A easy pasta with lime and lemony chicken chunks, fresh rocket leaves, pine nuts and cheese. 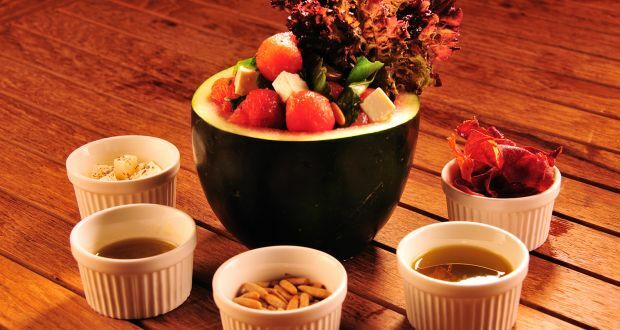 Watermelon balls, fresh lettuce, feta and a splash of lime creates the best salad ever! Honey, pine nuts and a generous drizzle of extra virgin olive oil make it go savory, refreshing and just divine! Re-energize with this healthy dessert. Multiple layers of yogurt, nuts, cereals, pine nuts and fruits. 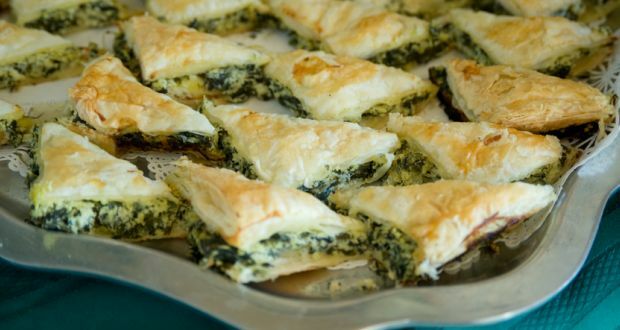 Layers of spinach, filo pastry, cheese, garlic and spices make this deliciously baked treat. 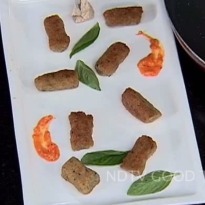 A very light dish which is full of basil's magical flavor. 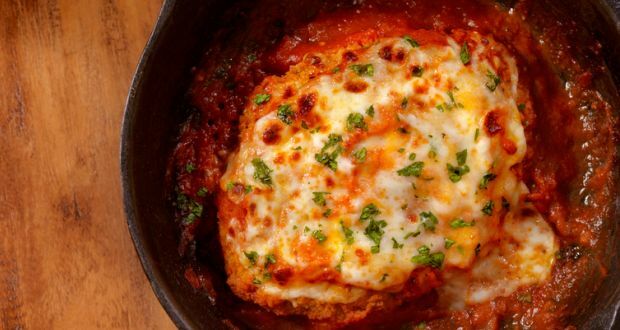 Chicken fillets coated in pesto sauce and baked with tomato rounds and mozzarella cheese. 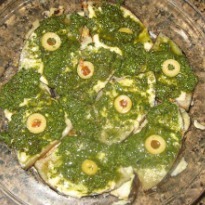 Eggplant laced with Parmesan cheese and baked in pesto with olives. Here's the weekly winning recipe of the Guilt Free Contest. 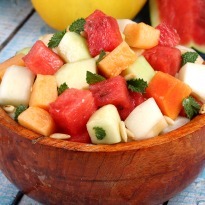 A chunky salad with refreshing melons drizzled with a sweet and minty dressing. 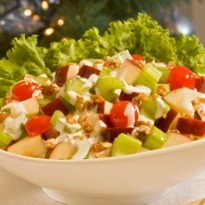 A crisp salad with apples, carrots, celery dressed in honey-lemon. Enjoy a de-toxifying salad and stay healthy. Gnocchi is a potato based dumpling originally from Italy but popular all over the world. 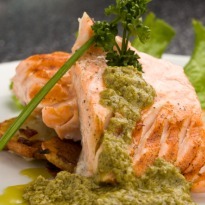 Nikhil and Natasha cook up a version of this dish in fresh pesto sauce.